14K white gold diamond bead set band. 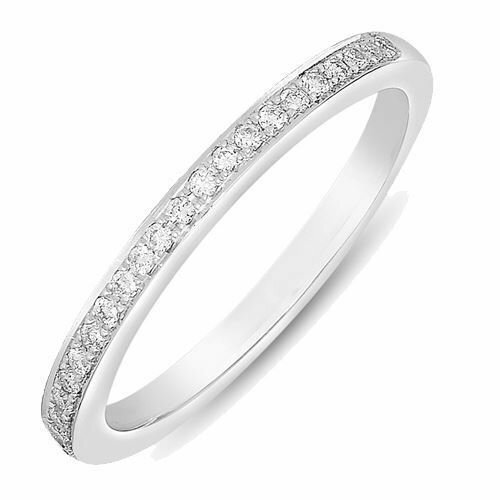 Featuring .14ct total weight of round brilliant cut diamonds. G-H in color, SI1 in clarity.